I got the itch so I am back with another build, I wanted to stay small, almost went with the 3 gallon spec, but i like the layout of the 5 gallon more, so here we are. 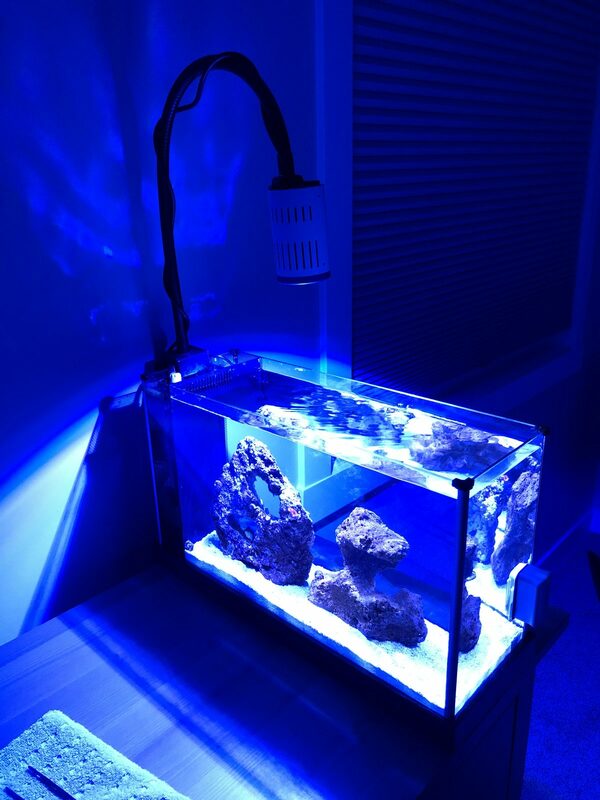 I may add a few pom pom crabs, anemone crab, orrrrrr a mantis shrimp! With a mantis I could drop in a few hermits and keep him fed for a month, i hope. Hi! Good luck with the new Spec V! 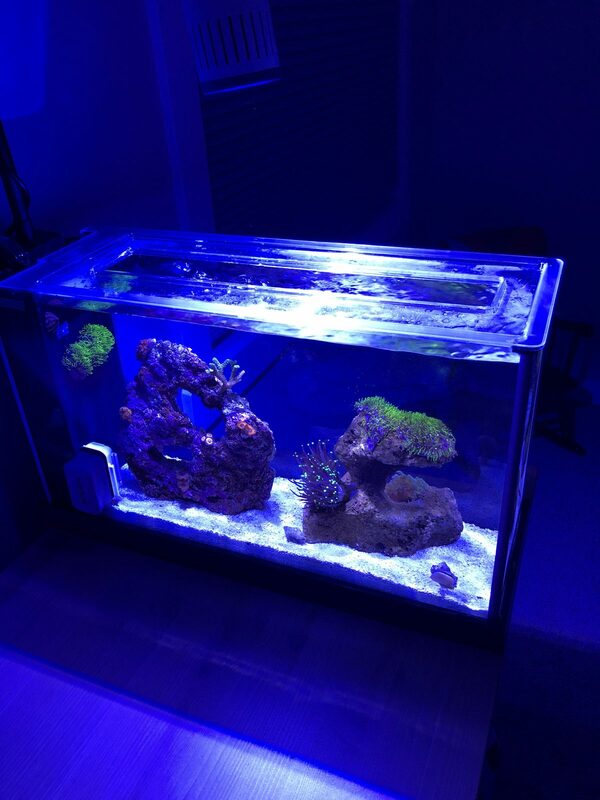 I like the Spec tanks for freshwater, but haven't tried one for saltwater yet. 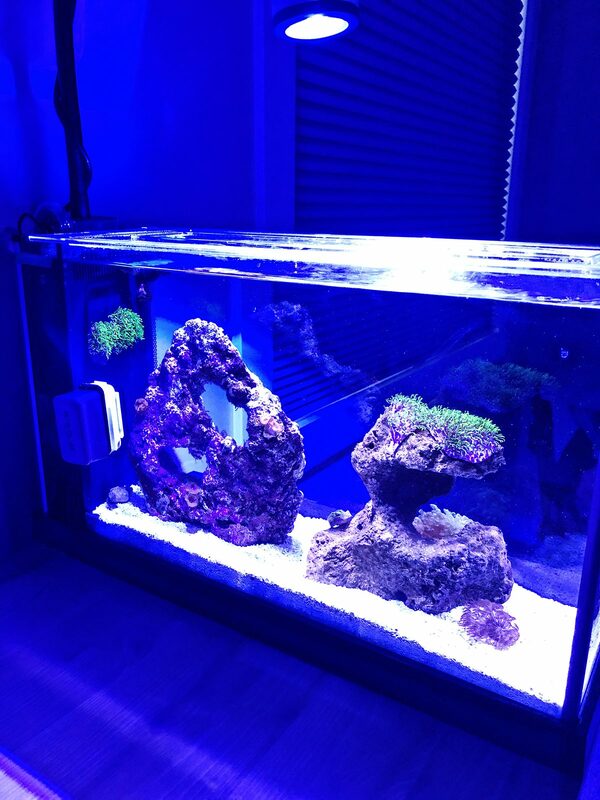 Could I please ask, is the new return pump and Kessil A150 the only modifications from the stock Spec? What are you running in the filter section? yup that's it. 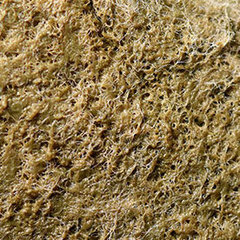 In the filter side all I plan to run is some filter floss and carbon. I do like the rockscape though. where did you get the big one with the holes/rings through it? No it would become a mantis only tank, and well a few hermit crab friends errr meals. 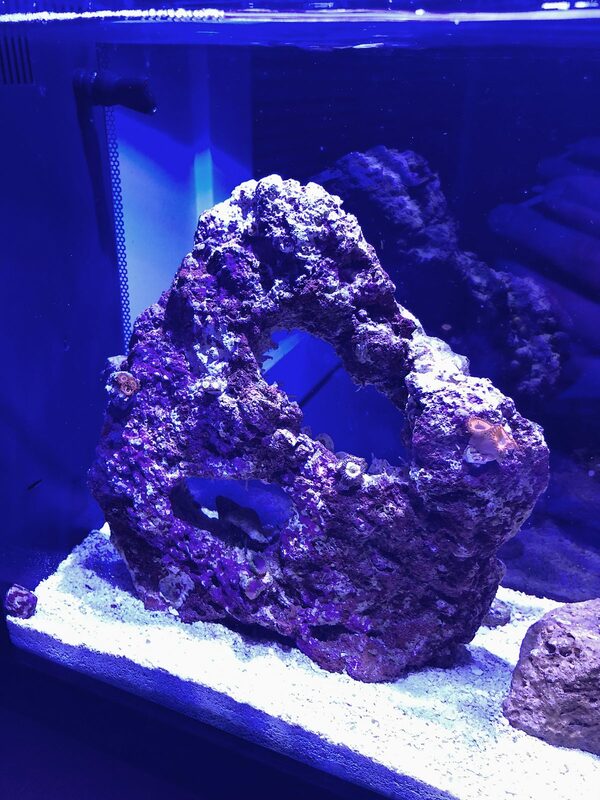 I go lucky and dug that rock out of my LFS live rock tank, as soon as saw it i knew it would make for a cool rockscape! Nice and simple, cool! Will you be using the stock foam block thing, or just stuffing floss in the back? youll be told to drop the foam n swap it for filter floss. Cute little AIO tanks can be so much fun. I hope this tank brings lots of joy. 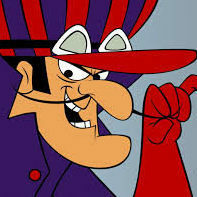 ^This is what I was thinking. Anyway, looks great so far, and I wish you luck! I'll be tagging along to see how you make out. Thank you for addressing my questions! Welcome back to NR . I really like both of those rock pieces. Good luck with your new tank. 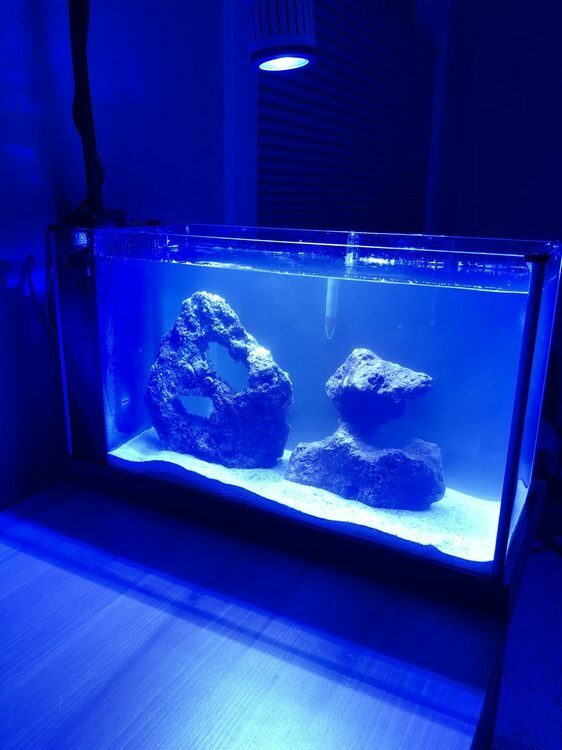 So I ordered myself a Aqua Duetto ATO system, looks super slick and will easily fit in the back of this tank. 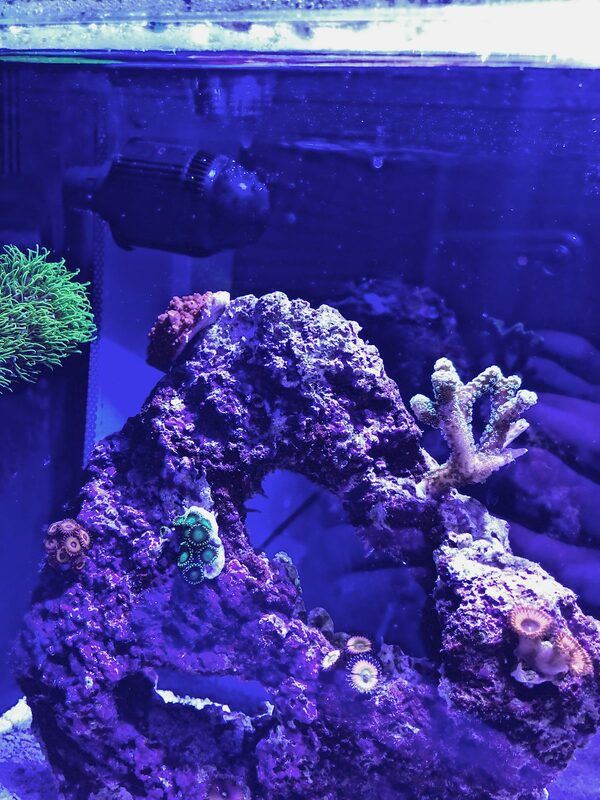 I also have added a handful of zoa frags, maybe a bit early but got bored, pics to come! I added Chemi pure elite and filter floss to my filtration, I think this is all I will run. I am running this off of tap water for now (fingers crossed) so I am hoping the chemi pure helps make this work for me. 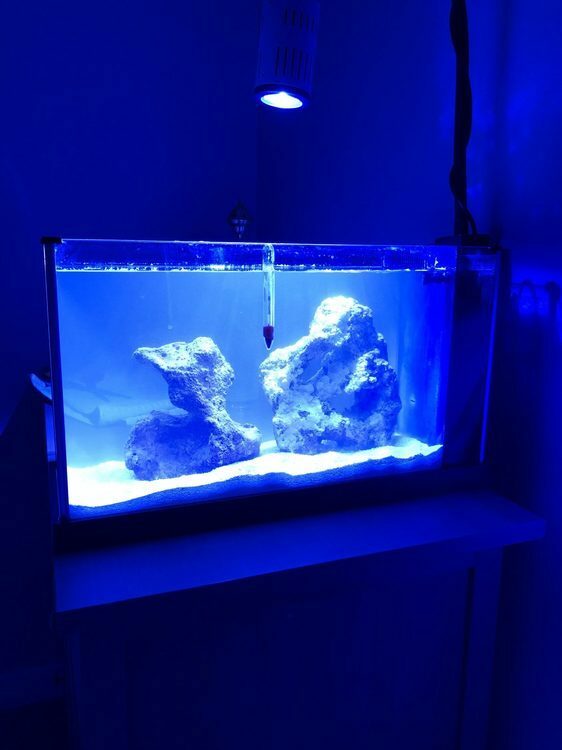 ^ Just a thought, but if you don't have an RODI yet, you could use gallons of distilled water to top up and for water changes. It's more expensive than having an RODI system, but at less than a dollar/gallon, it's reasonably affordable for a smaller tank. Just a suggestion, hope that helps. 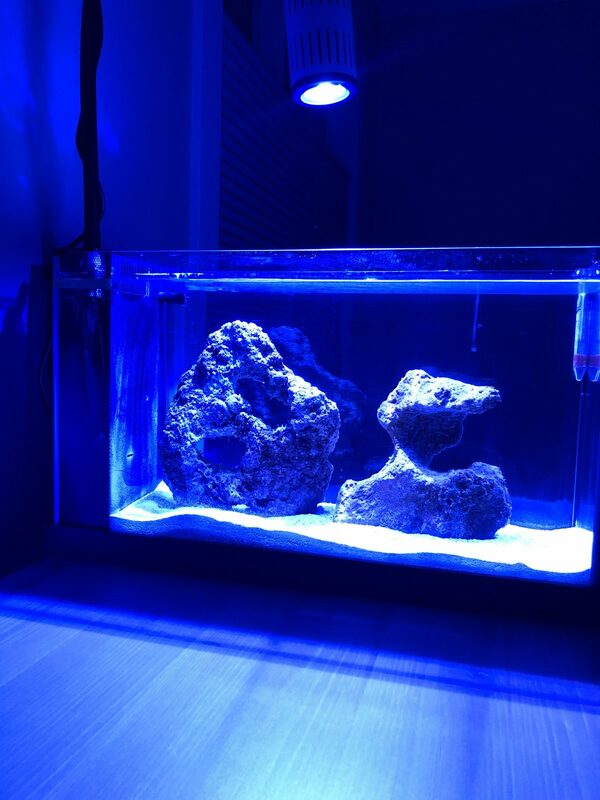 the rock with the holes will become zoa island, the other one im going to cover with gsp and some frogspawn. Everything is looking good. 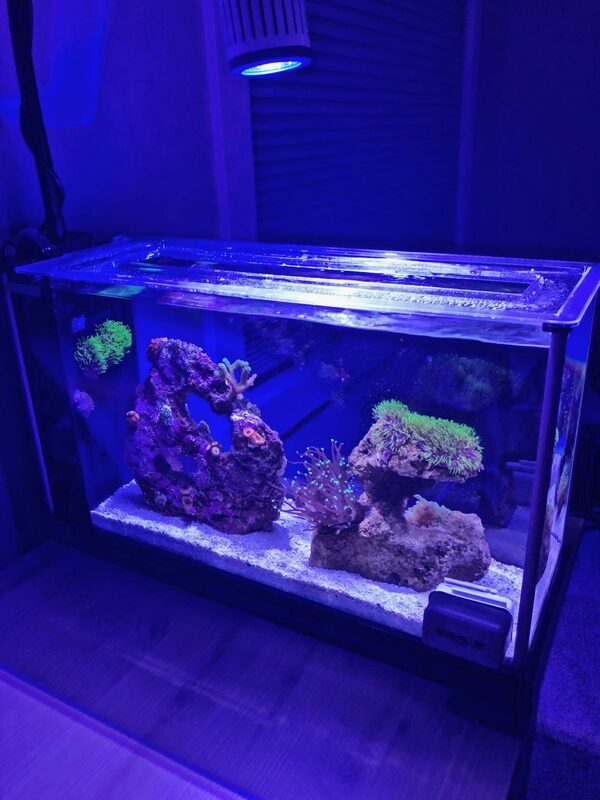 Everything in the tank has been looking great. Added some gsp, frogspawn and Xenia. Not sure what’s next, thinking I might add some Pom Pom crabs for entertainment. i also set up the aqua Xp Duetto ATO system and it’s been great. Awesome system! I have also decided to order an RO/DI system, no problems with tap water yet but I decided I don’t want to chance it. I’ll try and get better pictures but I got some purple torch. 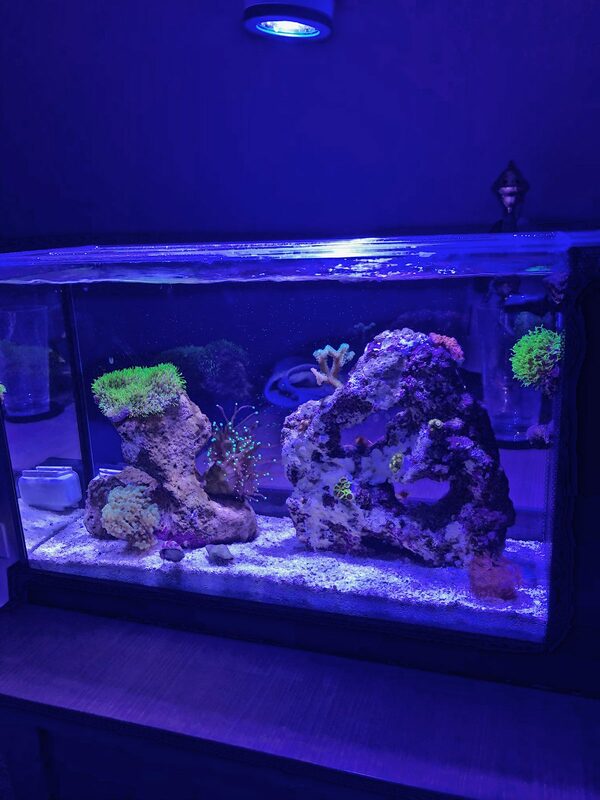 For sure my favorite coral. This is def one of the nicer starting spec 5s I’ve seen, pretty cool! Thanks! Now to wait for everything to grow, and resist the urge to add fish. 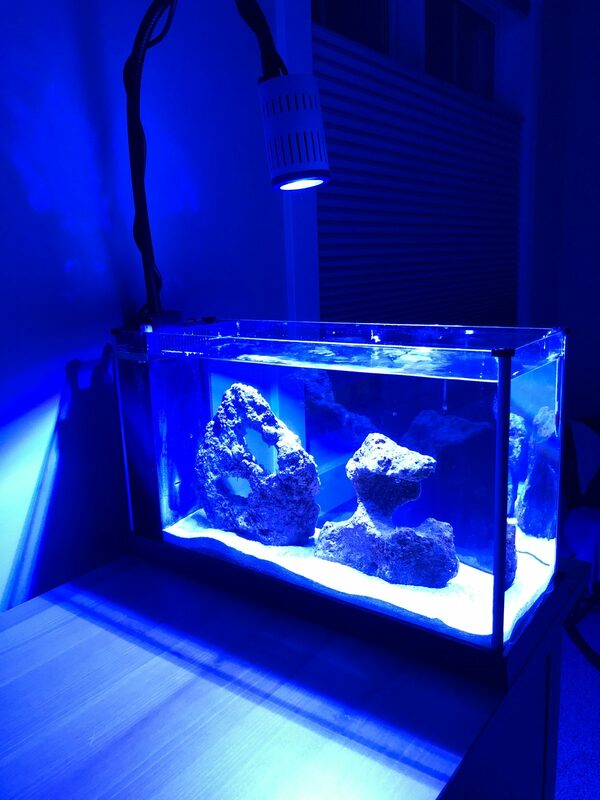 Doing a water change today and then I want to try letting it just run for a month without any maintenance other then the ATO. Took some better pics today, the torch has just exploded in size! I added some radio active dragon eye zoas and eagle eye zoas. Some faster growers to help fill in. I decided to try a hydro flow, I hear they don’t last long but I wanted to mix up the flow in the tank. 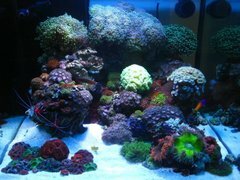 It’s a bit big for this tank but the corals love it! The torch and frogspawn are getting way bigger! 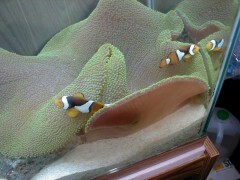 You have a very nice little tank. May I ask what is your light setting ? Great advice!!!!! 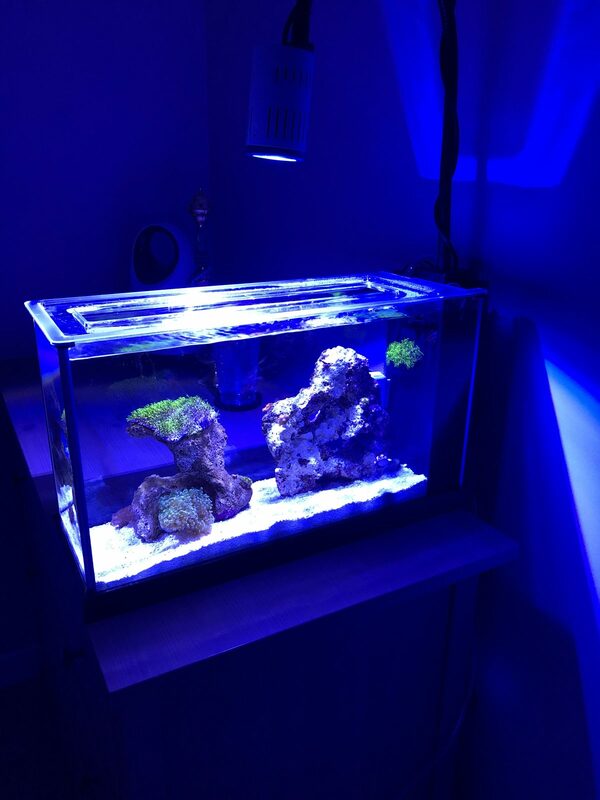 IMO, since the tank is only 5 gallons it's a no brainer. But, people are going to do whatever they want. 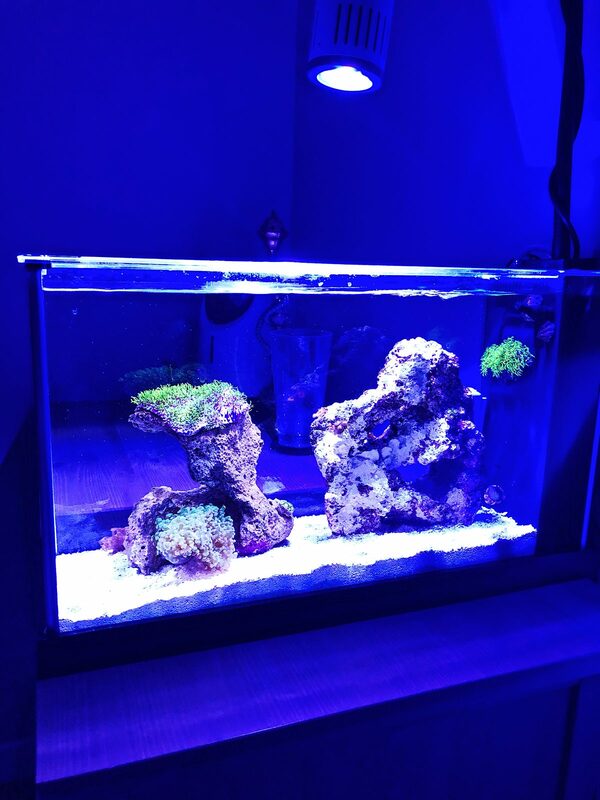 You "might" get away with it in a fish only tank, but a Reef Tank? Well see, I hope it all goes well.